He’s Still “Not Sure” About Being Exclusive: What Should I Do? If you’ve ever spent more than a few months with someone who never put a label on your relationship, then I want you to take back your personal power with these 3 jaw-dropping tips. Having too many men to choose from is a good problem to have. But how do you choose between the two if they’re equally awesome (and you like them both)? Here are 5 questions to ask yourself before you make a final decision. If you’re the kind of sister who likes to date one man at a time because you’re afraid of looking thirsty or desperate, I’ve got to warn you: you are wasting your time! Here are 5 reasons why. Do you know how to be so magnetic with men that they melt in your presence and relentlessly pursue you without you ever looking desperate or thirsty? If the answer is no, then it’s time for you to upgrade your flirting game. “Be More Loving”, is a phrase that’s easier said than done. 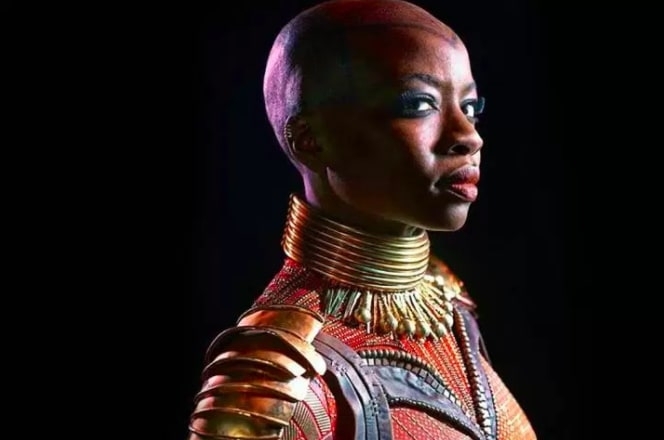 BlackPanther is powerful not just because we get to see an African king in a bulletproof suit change our conception of who gets to be a hero, but also because it paints a picture of what’s possible in the relationships between Black women and Black men. The Idris Elba Syndrome: Can the Right Woman Change a Man’s Mind About Marriage? If you were on a first date and the successful, swagalicious man you met on Soul Swipe said, “Am I ever gonna get remarried? I don’t think so. Yeah, I don’t think so. Marriage is an institution of sorts and I’ve done it. It’s not for everybody. It’s not my life’s calling,” what would you do? When someone pisses you off, it’s normal for your instincts to kick in and cause you to become defensive and argumentative. But having effective conflict management tools under your belt equips you for the inevitable. I've seen women brag about canceling friends and cutting off family for hurting or offending them but break their necks (and spirits) to be with men who would ultimately violate them in even worse ways. I know it’s frustrating when the men you want don’t show up in your dating app and this keeps happening. I can tell you how to solve this problem–if you’re open and ready to turn things around in your favor – forever. Losing weight may increase the quantity of guys approaching you, not necessarily the quality. Reality Check: You’re Not Always Going To Get An Apology, Even If You Believe You Deserve One.